are exposing error and rebuking false teachers. This is healthy and positive. I don’t doubt that in some cases, they are doing God’s work, and I deeply appreciate that. Constructive criticism is a lifesaver. But according to Wade, “There is absolutely no evidence that he believes constructive criticism is a lifesaver.” He also points out that if you examine the evidence you’ll discover that Michael Brown is a gatekeeper for wolves in sheep’s clothing. The evidence also clearly shows that he not only lends credibility to the wolves — he’s one of them! How can we be sure of this? Discernment bloggers over at Pirate Christian and Churchwatch Central have gone to great lengths to prove that he’s a NAR Apostle (here). Beloved, it has been hard to watch the fall of Dr. Michael Brown. It is hard to watch someone who had worked so hard in the kingdom become a bagman for faux-Christian political forces and a gatekeeper for the New Apostolic Reformation. It has been painful to watch him defend the indefensible and contort himself into pretzels to defend the most voracious wolves of our times. Many in discernment and mainstream ministries have begun to take notice. 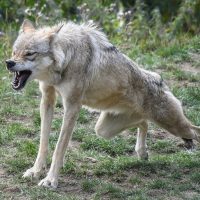 It now appears that recently Todd Friel of Wretched Radio and Phil Johnson branded Dr. Brown as “dangerous, sub-orthodox and willfully self-deceived.” Anyone who refuses to warn the sheep and encourages wolves is in fact dangerous to the flock. The level of orthodoxy is only compounded by the fact that he refuses to apply the standards of what he knows is false to anyone actually teaching those false doctrines. He can write a book on the error of hyper-grace for example but refuses to rebuke Joseph Prince and to make matters worse he cannot see the disconnect. As for the charge of willfully self-deceived I would agree that he absolutely refuses any sane correction from anyone in the body of Christ. Any criticism is met with disdain and an eventual article to defend himself, just as he has done above to the Friel/Johnson critique. Let us reason together to see what happens when being dangerous crosses the line into being delusional. Brown is a master at this debate tactic and he uses it frequently on his radio program. He conflates something really bad with the accusation he is defending himself from so to lend sympathy to his cause. I am sure that Phil Johnson and Todd Friel would never wish such vile death threats again Dr. Brown. They leveled critiques based on positions Brown has actually taken. The two are simply not congruent but Brown is trying to get people to dismiss the real charges by conflating them with the vile death threats. The delusion however is to believe that defending Benny Hinn and Bill Johnson would result in the favor of the Lord or that just criticisms are a crown of honor. That is just staggering in its ignorance. The key verses for today are the Matthew verses Brown references here and to believe that criticism is persecution is simply delusional. No one has falsely accused Dr. Brown of anything and to then compare yourself to the prophets? Wow. Perhaps he did not mean the inference but in order for this logic to work, Dr. Brown has declared Todd Friel and Phil Johnson as part of the kingdom of darkness who believe in a dead religion. Once again however the real problem is in the utter delusion Dr. Brown operates under. Anyone who levels any criticism at him is immediately branded and dismissed out of hand. Mind you, whenever the criticisms have come against Dr, Brown they are always the same. Those leveling the critiques include myself, Chris Rosebrough, most discernment ministries and now Friel and Johnson. Hardly a lineup of apoplectic lunatics but to each one Brown considers us as having a critical spirit for daring to question the company he keeps and defends. The truly sad and delusional part is he is simply giddy about thinking he has become dangerous to the devil when in fact he serves to steer people away from Christ and towards some of the most egregious false teaching today. It amazes me how myopic good theologians can get when trying to use the Bible to defend themselves. Brown is learned enough to know that Romans 16:17 explains that it is false doctrine the divides the body of Christ. Whether that be the insidious hyper grace of Joseph Prince, the false healing of Benny Hinn or the inane sneaky squid spirit of Jennifer Leclaire. As dangerous and divisive all of these are separately, how much more so is a man like Brown who defends and lends credibility to each of them? That brings us to sunny point number two here that Brown cannot see. Proverbs 6:19 deals with sowing discord among the brethren. To Michael Brown; Heidi Baker, Benny Hinn and Bill Johnson are brethren and therein lies the problem. They are voracious wolves making a killing on devouring the sheep of the Lord. Proverbs 6:19 does not mean we should sing Kumbaya with every false teacher or anyone who can spell the name of Jesus correctly. This is another hallmark of the Michael Brown playbook. He always wants to sound like the more reasonable party in the discussion. So he pays lips service to the cause of the other side. There is absolutely no evidence that he believes constructive criticism is a lifesaver. None whatsoever. The critique of Friel and Johnson was the same critique Pastor Rosebrough had when he called into his radio show and the same critique I had the two times I was on his show. Were our pleas all non constructive? No beloved. In fact they were all consistent. The first time I called into his radio program it was just because I was worried about him lending his credibility to Benny Hinn by appearing on his TV program for a week. The second time Brown mugged me for daring to criticize Bill Johnson, one of the most egregious heretics on this planet. When I see Johnson operating a school to teach the gifts of the Holy Spirit I want to destroy that evil work. When I see him fake spiritual manifestations through bogus glory clouds, gold dust and angel feathers I want to tear that down. That is the problem for Dr. Brown. There is no false teacher worthy of tearing down.